If you’re a new patient here at Larrondo Family Dentistry, welcome! 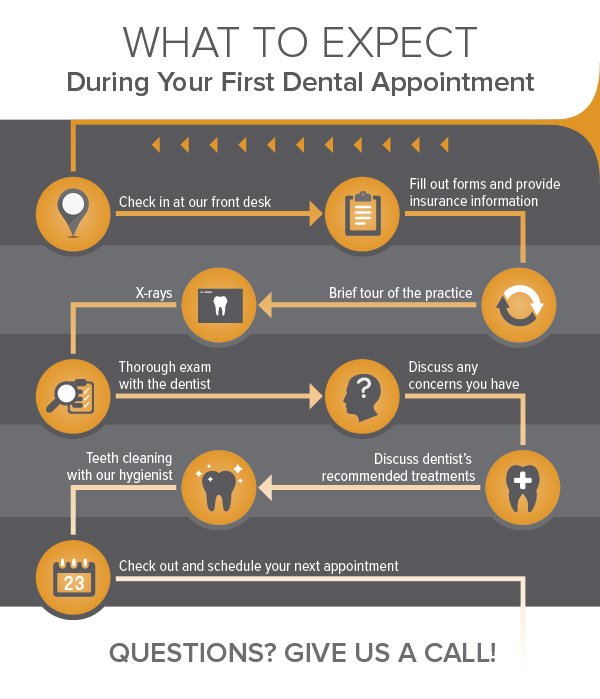 We look forward to meeting you at your first appointment. Upon arrival, you’ll check in with Briana at the front desk. Briana will ask you for your ID and dental insurance information. Additionally, we have a few forms for you to fill out. For your convenience, you can access those forms on our website if you’d like to fill them out ahead of time: NEW PATIENT FORMS. You’ll be given a brief tour of the office and taken to an area where we’ll take x-rays. Dr. Larrondo, together with Joanie, will complete a thorough and gentle exam. They will review any concerns you have and will recommend treatment based on your exam and x-rays. Depending on your unique situation, oral health, and questions and concerns, this may include same-day treatment recommendations (such as filling a cavity), or long-term treatment planning for restorative or cosmetic procedures. If you’ve scheduled a cleaning with your initial appointment, Danielle will complete this at this time. Danielle may also recommend some at-home steps you can take to maintain a healthy mouth! Finally, you’ll be led back to the front desk to check out and to schedule your next appointment! It’s our pleasure to make sure regular hygiene appointments with our Hemet dental team are friendly, comfortable, and gentle! Do you have any questions regarding your upcoming visit? Please feel free to call us at (951)925-6596!